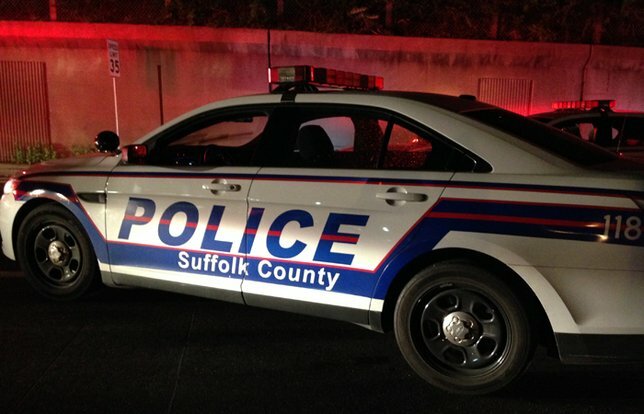 SCPD are investigating a hit-and-run that killed a pedestrian in Mastic. Mastic, NY - February 4, 2019 - Suffolk County Police Major Case Unit detectives are investigating a hit-and-run crash that killed a pedestrian in Mastic on Saturday, February 2. Masita Sayon of Bay Shore, 28, was crossing Mastic Road at the intersection of Southaven Avenue when she was struck by a southbound 2004 Acura, knocking her to the ground, at approximately 11:53 p.m. She was then run over by a second vehicle that was travelling southbound. The second vehicle stopped briefly before fleeing the scene. Sayon was transported to Long Island Community Hospital in East Patchogue where she was pronounced dead. The driver of the Acura remained at the scene and was not injured. The vehicle that fled the scene was described as older model, silver, 4-door Chevrolet Impala driven by a white man. Detectives are asking anyone with information on this crash to call the Major Case Unit at 631-852-6555 or anonymously to Crime Stoppers at 1-800-220-TIPS. Subject: LongIsland.com - Your Name sent you Article details of "Pedestrian Killed in Mastic Hit-and-Run Crash, Police Report"